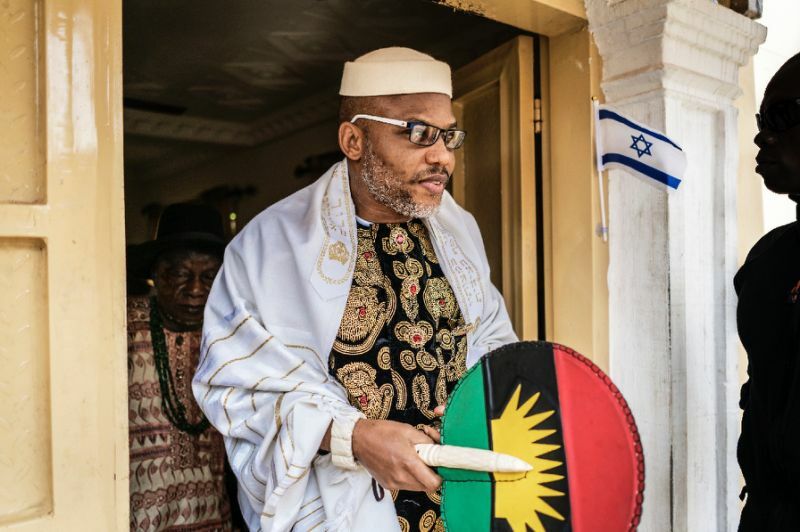 Supporters of Nnamdi Kanu, leader of the Indigenous People of Biafra, has on Monday, September 25 celebrated his birthday even though his whereabouts is unknown. The IPOB leader’s supporters took to the social media to celebrate him for his role in the agitation for an independent Biafran nation. Theophlius Okelue in his reaction says: “Happy birthday, mazi Nnamdi Kanu. I thank God for bringing you into this world. You are a blessing to our tribe may you live to actualize your dream. Jim Scott, said: “May God add many many more years to the years of this fearless lion and great hero. Long live Nnamdi KANU. May you live long and see your children children. Happy birthday. Olisaemeka Okeke, on his part wrote: “Happy birthday our able leader mazi Nnamdi kanu ohamadike one in biafra land ? May u live long. The Lord is with u their 4 no weapon of the enemy fashion against u shall prosper. “Happy birthday the Biafra supreme leader. I wish you the best. May the almighty protect you my brother,” Bukas Thony said. Ony Ogbonna wrote: “Our mentor, our great leader, our lovely prince, with your roaring voice, all pythons in Nigeria pop-up from their nooks and crannies to dance to the tune of your echo. We Biafrans love you till eternity. Happy Birthday to you our prince. Glenn Johansen says: “Happy birthday Nnamdi Kanu, may God in His infinite mercy bless you with more wisdom and knowledge to lead us Biafrans to the promise land through Christ our Lord Amen,” he said. As the leader of IPOB, Nnamdi Kanu has been at the forefront of the agitation for the independence of Biafra from Nigeria and as a result, has suffered imprisonment. But many observers believe Nnamdi Kanu’s approach to the Biafran agitation is counterproductive given his penchant for making inciting statements. However, despite Kanu’s penchant for confrontational statements, many others also believe the IPOB leader’s agitation will end up benefiting Nigerians at large, irrespective of tribe or region.